We missed Judgement Day by a few decades. It was August 29th 1997, FYI. So we swerved Skynet. Nice one, humanity. Although Ridley Scott’s Blade Runner is set in 2019, so while we may have avoided Terminators, our battle with Replicants may still be avoidable. Yes, artificial intelligence is on the rise. 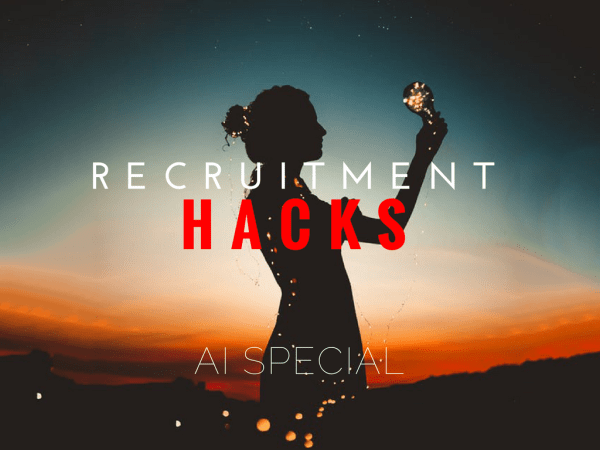 But you don’t have to ‘Terminate’ your Team Leader just yet because in this article we’re taking a look at innovative technology powered by AI that could make your recruiting life that much more futuristic. The goal here is to take advantage of smart tech that saves you time. The more time you have, the more you can spend on ROI-positive activities. Simple. 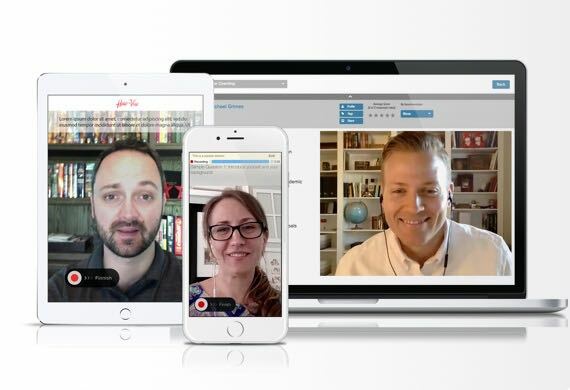 HireVue is a video intelligence platform that screens your candidates before you initially meet them. The software transcribes word usage and reads facial features in order to unearth deeper insights as to what makes a successful employee. Qualities like empathy and good customer service skills, or whatever the end client deems as ‘hiring material’, is put to task. While these are things that any human could do, the whole point is that you no longer have to. One key USP is, the software claims to eliminate bias, which is something that not all humans may be able to do anything about. You can book a demo on their website and join a list of customers that includes Hilton, Unilever and Vodafone. At each stage, the product uses AI to either attract or assess candidates, giving each candidate a score at the end. It sounds pretty data-heavy, although the company insist they’re driven by values and seek to pair this with the end client as much as possible. This could be useful for multi-hire recruitment ‘projects’, possibly even a retained assignment, although it might be more useful to a hiring manager going it alone rather than a recruiter. Either way, it’s available to try for free on their website. 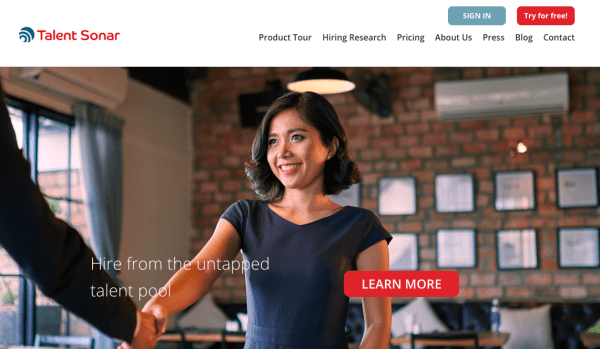 Similar to Talent Sonar in terms of approach, Impress AI leans much harder on their chat bot technology to deliver a sound candidate experience. Once you’ve defined a role and set your interview parameters, the bots take care of the ol’ pre-screen and deliver you a report once they’re done. They promise to automate the candidate qualification process and this comes with the usual benefits of CV parsing, nice looking dashboards and a fully mobile experience. If the thought of handing off your pre-screening to an algorithm sounds daunting, you can jump back in and take control at any time. The product is free to trial for 15 days on their website. Access RDB is a CRM that uses AI to power most of its functions. From record creation off the back of CV parsing through to managing simple email or text contact. It even comes with its own timesheet portal which would be useful if you haven’t got one already. The platform is highly customisable, mobile and cracks the whip when it comes to data protection. Team Leaders: request a demo for your sloppiest contract consultant and see if this actually gets their admin sorted for a change. This one is for the recruiters who spend more time on their marketing activities. 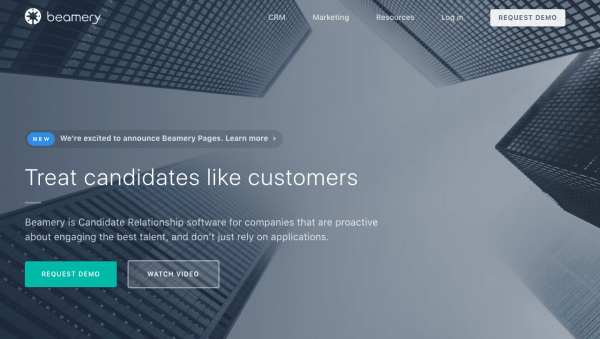 Beamery looks at candidates the same way that Amazon looks at customers. Not simply as consumers of their product (in this instance, jobs) but as intelligent beings that have grown accustomed to a greater standard of care from their professional services. With a big focus on candidate experience, the platform uses AI to evaluate performance, build your own brand, convert passive leads and improve conversion rates, among many other features. You can request a demo on their website to see whether Beamery could help to position you as a key differentiator in a candidate short market. 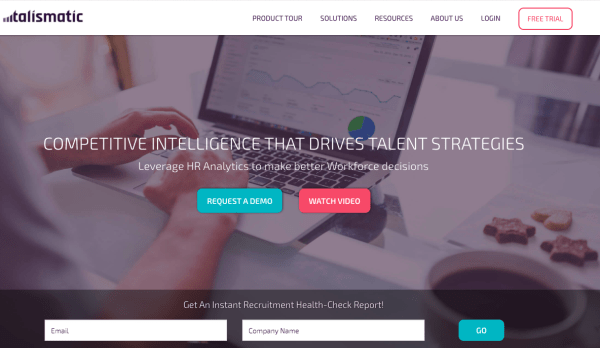 Mainly aimed at HR, Talismatic is an analytics platform that uses competitor insight to benchmark your overall hiring performance. They use AI mainly to track metrics and analyse your strengths and weaknesses in comparison to your industry or market at large. Simple to use with pretty dashboards, this could be useful to the recruiter looking to plant their flag in a competitive market. Getting the heads up on your competitors – or your clients – hiring strategies could be a useful ace to have lodged up one’s sleeve. Setting up a free trial apparently takes seconds on their website and could be worth a look for the overly scrutinous, slightly paranoid recruiter. Are you lucky enough to work in a market where candidates just don’t bother with email? TextRecruit claims to automate SMS recruitment campaigns with personalised messaging and it integrates seamlessly with your current CRM – or any old spreadsheet. Imagine if all those unread emails were reincarnated as text messages that actually got responded to. What would that do to your billings? How many ‘almost-but-not-quite’ deals would have made it over the line, instead of going to a competitor? You can get a head start by requesting a demo on their website, unless of course your CRM already has a similar feature built in.